there are a couple of bikes that really changed ... stuff ...and remain classic, but also represent the future (at the time). 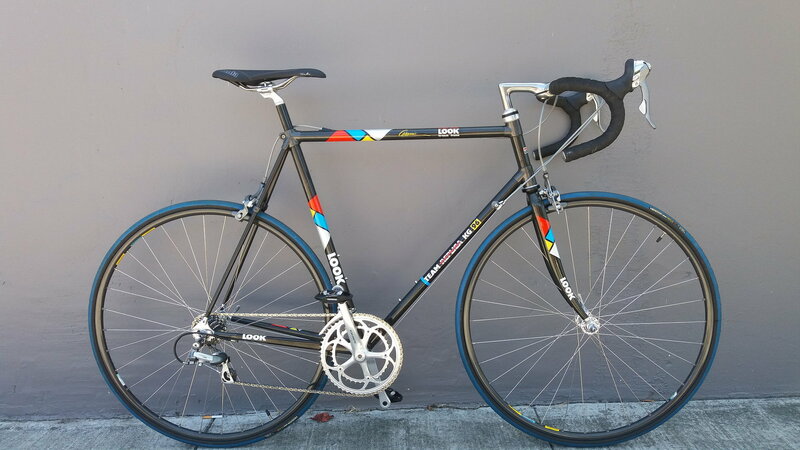 here is my entry: a replica of the first Carbon bike to win the TDF, outfitted with 8 speed tricolor/dura ace mix. the frame material would go on to dominate, as well as the brifter shifting, and the dual pivot brakes (until disks came along). This is ~1992 and it had the future pretty much figured out. still not even dreaming of 2005.